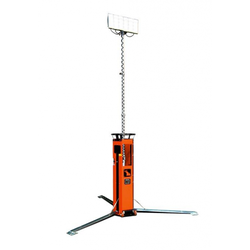 Our range of products include led tower light, mobile light tower and portable baselight led light tower. LUX S10 is the latest avant-garde project of lighting tower designed by Luxtower, it's the result of collaboration among rescue, rental and construction professionals. We have created a lightweight and handy product using the latest LED technology and the best materials available on the market, to meet the demand for a more versatile lighthouse tower. LUX S10 stands out for performance, compactness and solidity, able to compete with much bulky lighting towers equipped with a traditional 1600W halogen system. 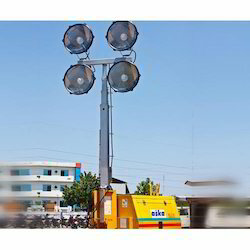 Being one of the leading providers of Mobile Light Tower, we ensure that the quality of the product is never compromised. 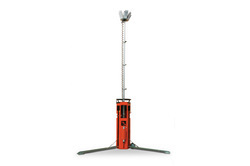 Aska offers you next generation Mobile Light Towers/Telescopic Light Towers. Fabricated at its state-of-the-art manufacturing facilities at Roorkee, Aska’s Mobile Light Towers lighten up your work areas to improve your workforce efficiency and overall productivity and also ensures safety during constructional activities during dark hours.